Gabriel Maria Roschini, O.S.M. (1900–1977), was a Roman Catholic Italian priest and professor of mariology, who published over 900 titles on mariology. 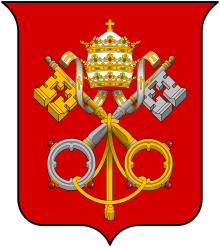 During the pontificate of Pope Pius XII, he worked closely with the Vatican on Marian publications. In light of the encyclopedic accuracy of his work, Roschini is considered as one of the top two Mariologists in the 20th century. His first major work, a four volume Mariology, Il Capolavoro di Dio, is judged to be the most comprehensive mariological presentation in the 20th century. Several theologians called him "one of the most profound mariologists" and "irreplaceable". Roschini was born in Castel Sant'Elia (Viterbo, Italy) in 1900. Upon entering the Order of the Servants of Mary he changed his name to Gabriel Maria (or Gabriele-Maria) from his given name of Alessandro Roschini. In 1924, he received his ordination as a priest. Additionally, Roschini was a doctor in philosophy and master in sacred theology. He founded the journal Marianum in 1939 and directed it for thirty years. In 1950, during the reign of Pope Pius XII he founded the Marianum Theological Faculty, which is now a pontifical institute, and served as its rector. He was also instrumental in reviving the Marian Library, which was transferred to the International College of Saint Alexis Falconieri in 1946. 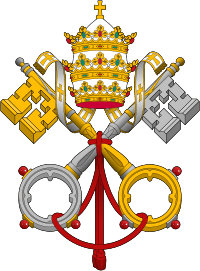 Other roles included professor at the Lateran Pontifical University and the Marianum Pontifical Theology Faculty, as well as advisor for the Congregation for the Doctrine of the Faith and for the Sacred Congregation for the Causes of the Saints. His death in Rome in 1977 corresponded to the Feast of the Holy Name of Mary, September 12. During the pontificate of Pius XII, “the most Marian Pope in Church history”  Roschini worked closely with the Pontiff, arranging his own publications parallel to Papal mariological promulgations. During and after the Vatican council, Roschini tried to adjust to the colder mariological spirit in his 1973 publication Il misteri di Maria considerato alle luce del mistero di Christo e della Chiesa, an updated four volume handbook of mariology. Together he published over 900 titles, mostly on Mariology, in addition to his encyclopedic works, reviewing the mariological contributions of saints like, Bernard of Chiavelle and Anthony of Padua. In 1950, he explained the mariology of Thomas Aquinas. 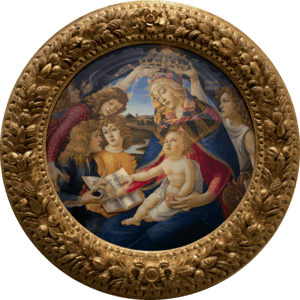 He detailed his mariology in a major work in the year 1952. Roschini presided over the services of Valtorta’s “privileged burial,” in which her remains were relocated from Viareggio to the Santissima Annunziata Basilica in Florence in 1973.